Muslims consider the Quran, the holy book of Islam, as the word of God and a miracle. The Main and primary miracle of the Quran is believed by Muslims to be the actual text of the Quran itself. This is not based on an emotional argument but instead a rational one. 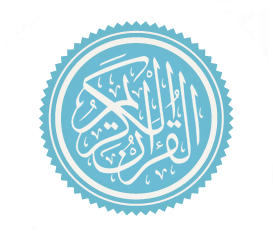 This is because Muslims believe, the text, although in Arabic does not conform to the standard poetry and prose categories commonly expressed by all forms of written and spoken languages and therefore falls outside of the realm of limited human possibility, and as humans are not capable of producing this type of speech, it is therefore from the devine who is outside the realm of limitation and restriction. Supporters of quranic science believe that Allah (God) in the Quran challenges Mankind to bring a recital like it and that the authenticity of its claims is supported by this challenge having gone unmet over over 1400 years. The Quran describes Muhammad as "ummi", which is traditionally interpreted as "unlettered," but the meaning is rather more complex. The medieval commentators such as Al-Tabari maintained that the term induced two meanings: first, the inability to read or write in general; second, the inexperience or ignorance of the previous books or scriptures (but they gave priority to the first meaning). 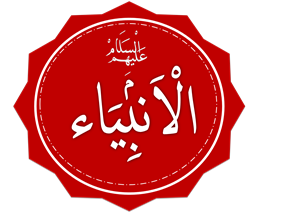 Besides, Muhammad's being "ummi" was taken as a sign of the genuineness of his prophethood. For example, according to Fakhr al-Din al-Razi, if Muhammad had mastered writing and reading he possibly would have been suspected of having studied the books of the ancestors. Some scholars such as Watt prefer the second meaning. The suggestion is that since Muhammad had no previous knowledge of the content in the Quran, it was in fact composed of miracles. The majority of Muslim thinkers accept the factuality of the miracles found in the Quran. Several verses that appear in the Qur'an would suggest that certain miracles occurred just in relation to Muhammad: the splitting of the moon (Qur'an 54:2-1), assistance given to Muslims at the Battle of Badr (Qur'an - Although these events occurred during their respective times, Muslims believe their effect of course cannot be perceived as they were witnessed by a particular people at the time and are therefore only miracles for those who witnessed it at the time. This is why Muslims do not rely on these miracles when inviting others to Islam, but instead rely on the main aforementioned sole textual miracle of which its miraculous nature is believed can still be perceived and witnessed today over 1400 later. Throughout the Qur'an, claims or predictions are made concerning future events. Many of the prophecies are viewed as having metaphoric meanings, while others are taken more literally. Because Muslims believe that the Qur'an contains the exact words of God which were revealed to Muhammad in Arabic and later transcribed, the meaning of the Qur'an has a great effect on Muslim beliefs and understandings. Some prophecies are debated more than others as to whether or not they were actually fulfilled or how the Qur'anic text should be interpreted. “It is Allah Who has sent His Messenger with Guidance And the ideology of Truth, to make it superior over all other ways of life, Even though the disbelievers May hate (it)” (61:9). The problem of environmental pollution as caused by human inventions: "Mischief has appeared On land and sea because Of (the meed) that the hands Of men have earned, That (God) may give them A taste of some of their Deeds: in order that they May turn back (from Evil)" (30:41); "Then watch thou For the Day That the sky will Bring forth a kind Of smoke (or mist) plainly visible, Enveloping the people: This will be a Penalty Grievous" (44:10-11). New modes of transportation created by humans: "And (He has created) horses, Mules, and donkeys, for you To ride and use for show; And He has created (other) things Of which ye have no knowledge" (16:8). ^ Richard Bell (Revised and Enlarged by W. Montgomery Watt) (1970). Bell's introduction to the Qur'an. Univ. Press. pp. 31–51. ^ Günther, Sebastian (2002). "Muhammad, the Illiterate Prophet: An Islamic Creed in the Quran and Quranic Exegesis". Journal of Quranic Studies 4 (1): 1–26. ^ a b "The Prophecies of the Quran". IslamReligion.com. Retrieved 2014-04-19. ^ a b c d e f g h i Ali, Abdullah Yusuf (2002). The Holy Qur'an: text, translation and commentary. Elmhurst, N.Y.: Tahrike Tarsile Qur'an.